1. Click on the link above to access the Education City.com website. 2. 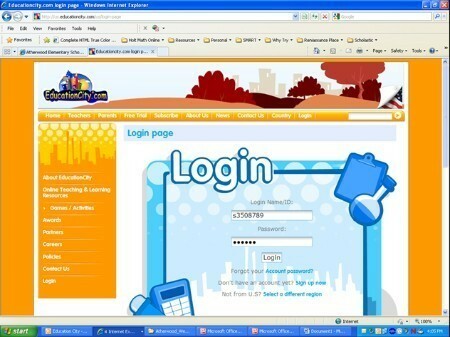 Type in your child's user ID and password that they should have received from their classroom teacher. 3. 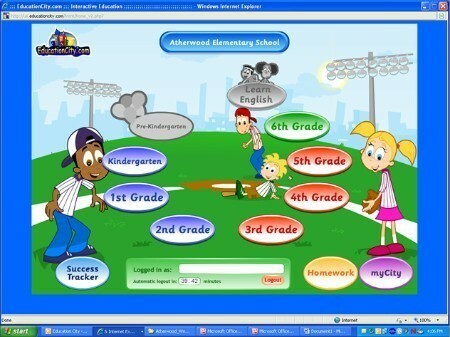 Once your child is logged in, depending on what their teacher has assigned, you will ONLY be able to click on the Homework button (on the bottom right hand side). During the summer, you will only have access to the Homework Feature and NOT the classroom activities (the My City feature). If you don't have access to the Classroom activities, they will be greyed out. 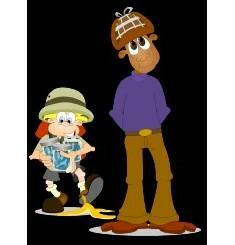 Your child will stay logged into the program for 40 minutes. If they walk away from the computer or do not finish their activites, their session will time out after the 40 minutes and they will have to log back in. 4. 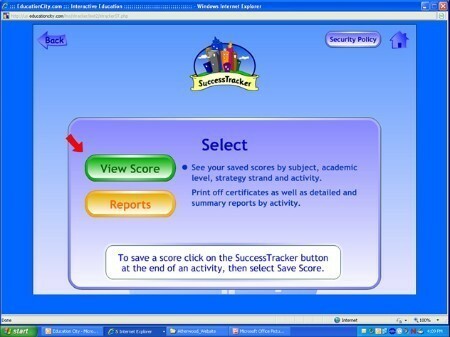 As a parent, you can click on the SuccessTracker button to monitor your child's progress. Here you can print reports as well as awards certificates.